The Moultrie Camera Battery Box is an external power source that will extend the field life of a Moultrie camera. This product is compatible with Moultrie 2007 and later digital game cameras. 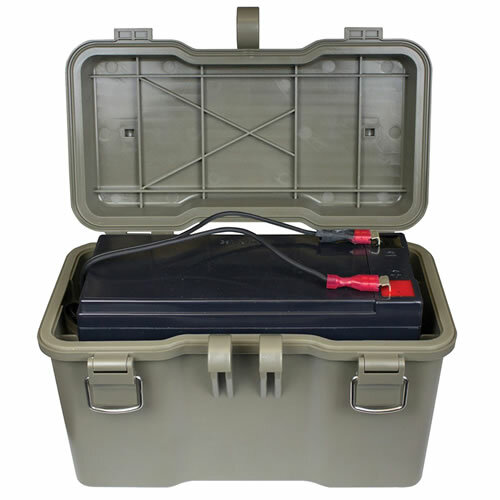 The Camera Battery Box includes a rechargeable 12V battery, a weather-resistant case, a 6-ft weather-resistant cord, and a battery charger.